It's September, so why the hell am I talking about Summer sandals? Well...England hasn't quite given us the summer we were hoping for, but when it did pull through, I couldn't have done it without Primark. 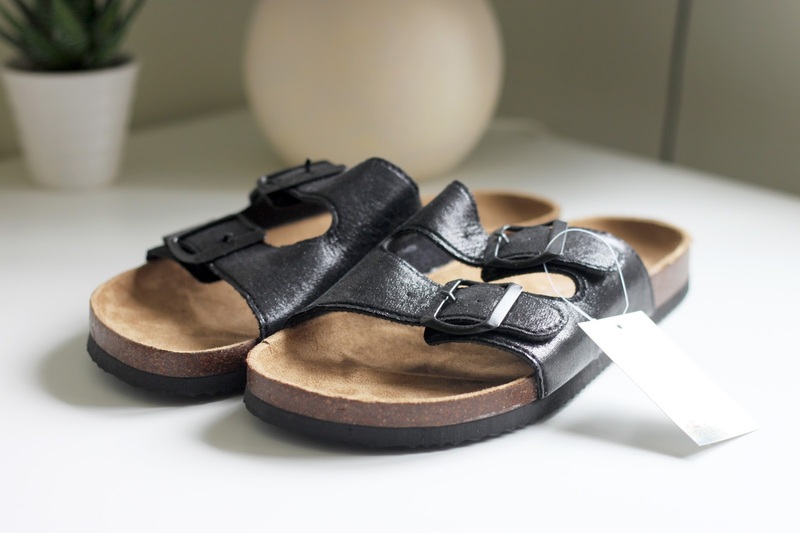 I went in at the beginning of the Summer looking at the homeware department, and was sidetracked by these Birkenstock style sandals for under a tenner. 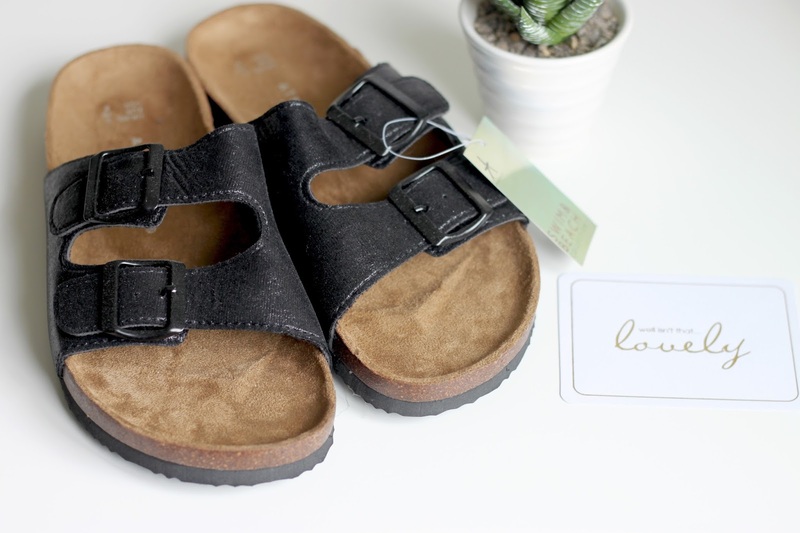 As English weather is so unpredictable (and I forever live my life with a budget), I have never wanted to invest in a real pair of Birkenstocks. I feel uncomfortable paying £40-50 on a pair of shoes that I may only wear a handful of times throughout the warmer months. So when I saw these babies, I knew I had to buy them. I bought them in black and didn't realise until later that they have a shiny layer on the top of them which makes them glisten a bit in the sunshine. I normally like the traditional look for these types of sandals, but a little bit of sparkle never did anyone any harm! When heading out throughout the Summer I would chuck these on with any outfit. I took them on my holidays, would wear them to work, wear them out on the weekend...they have been very well treated! The thing I love about them is that they are so versatile and can be paired with so many different looks. My favourite way to wear these is with boyfriend/baggy style jeans and a loose cami top. This look always seems like you've made minimal effort, but still look stylish - what could be better? Sandals like this seem to be like marmite, some people love them and some people hate them. I have had friends comment that they think they look a bit old fashioned, but equally I have had friends who have asked me where I've got them from...so I think until you've walked a day in a pair of these, then you'll never understand. They are comfortable, light, and look good - that's my kind of sandal. The material used inside the shoe grips on to your feet when you walk and keeps your feet all safe and sound within the curved shape of the shoe. I also love them because the bottom of the shoe is bouncy and means that you walk with a little spring in your step. Although the warmer days are coming to an end, I think that these sandals will still be coming out for a little while longer. Now I've found them, I don't want to put them away with all the rest of my 'summer items', so I guess we will have to test them in the English rain! What do you think of this style? Let me know! Love Birkenstock and these are a bargain, I love any footwear that you can just slip on and go. Great pics as well sweetie.